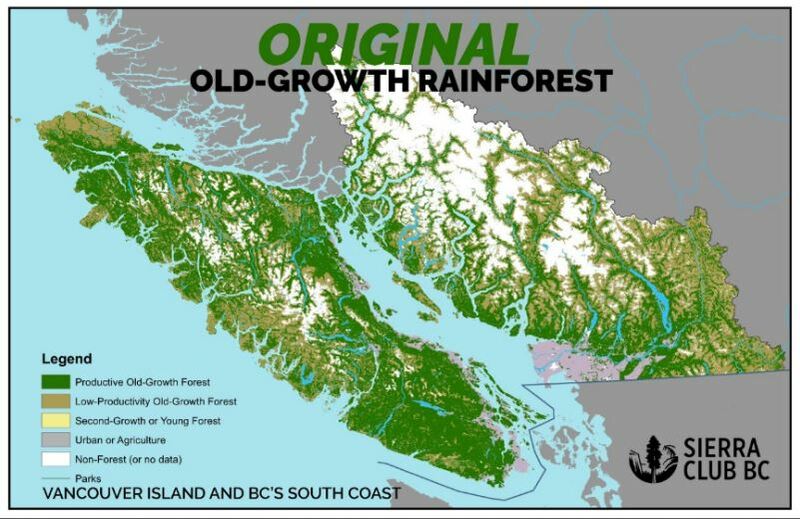 VICTORIA—A new Sierra Club BC review of government data and recent satellite images showed that logging of remaining old-growth rainforest on public and private lands on Vancouver Island jumped to 10,700 hectares in 2016. This number is more than 10 per cent higher than the annual average in the 10-year period 2005–2015. The total old-growth logged on Vancouver Island during the 10-year period between 2005–2015 was 88,900 hectares. The average annual amount of old-growth logged was 8,890 hectares (equivalent to about 22 Stanley Parks). However, this annual amount increased significantly in 2016 to 10,700 hectares (equivalent to more than 26 Stanley Parks). In its election platform, the NDP stated it would take action for old-growth forests, modernize land-use planning in partnership with First Nations, and use the ecosystem-based management of the Great Bear Rainforest as a model. Support for protecting endangered old-growth on Vancouver Island has been growing quickly in recent years. Chambers of Commerce, local governments, forestry unions, First Nations leaders and conservation groups have called on the provincial government to increase protection of old-growth for wildlife, First Nations’ cultural values, opportunities for tourism and recreation, and carbon storage. 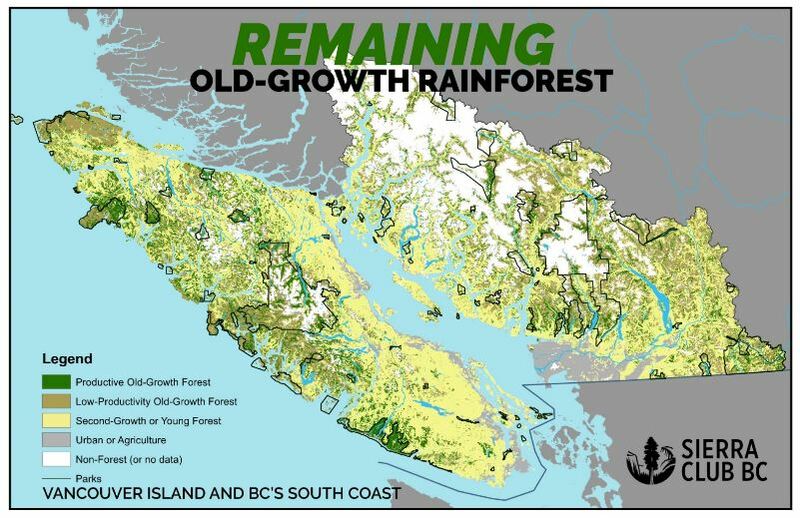 A 2016 Sierra Club BC analysis of remaining old-growth on Vancouver Island and the South Coast showed that almost half of the landscape units now have less than 30 per cent of productive old-growth remaining (Landscape units are areas of land used for long-term forest planning, usually 50,000 to 100,000 hectares). Ecologists consider 30 per cent the threshold for ‘high ecological risk’ of loss of species. The increase in old-growth logging will result in even higher ecological risk for flora and fauna combined with increasingly severe climate change impacts. Government data paints an overly optimistic picture by including poor productivity old-growth rainforest ecosystems with typically smaller trees. Environmental organizations Sierra Club BC, Ancient Forest Alliance and Wilderness Committee have asked the BC government to develop an Old-Growth Protection Act and establish logging moratoria for critical remaining intact old-growth areas before it is too late to develop long-term protection plans. These steps must be combined with support for new jobs in improved second-growth forest management and for First Nations land use planning and sustainable economic activities. Site C decision a betrayal of First Nations, ratepayers and future generati... 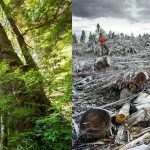 Event: Save BC’s Endangered Old-Growth Forest!